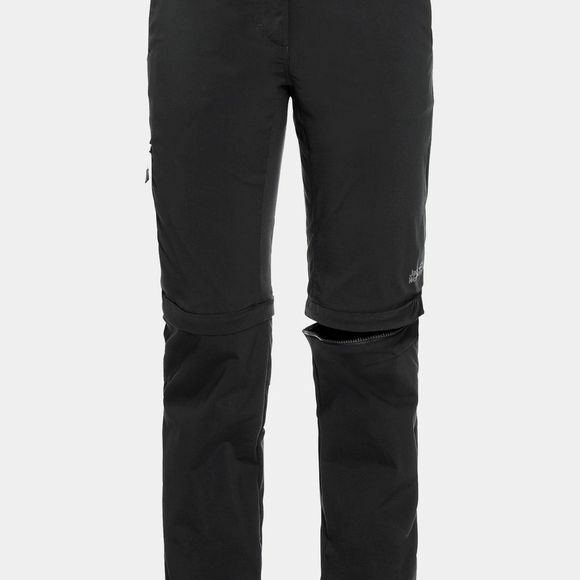 Our most versatile softshell trousers. 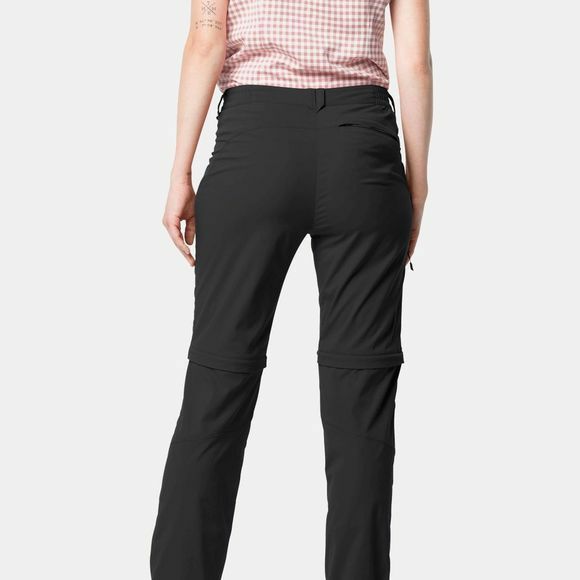 The Womens Activate Light Zip Off Trousers from Jack Wolfskin are ideal for hiking or trekking and can be worn as trousers or shorts, which makes them incredibly practical. If you get too warm, just zip off the legs. The trousers also have a number of additional attributes. They are super light and packable, and the Flex Shield X-Lite fabric is very breathable and has multidirectional stretch properties, so they're ideal for demanding trails and other activities that call for agile, dynamic movement. The fabric is also wind resistant and shrugs off light showers, which means you can enjoy your day without having to worry too much about the weather.